The Africa Campaign was widespread and deadly, but it differed greatly from its counterpart in Europe. The Western Front lacked troop mobility, the terrain was easily negotiated (not counting no man’s land), resources could be readily delivered in most cases, and the struggle was bitter as men fought to protect their homelands. In Africa, the mood was much different. 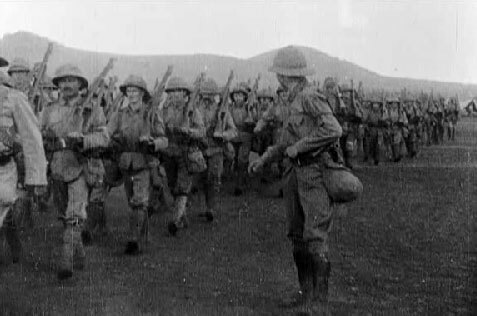 Armies were more mobile, constantly moving through the challenging and deadly terrain of Africa. Resources were scarce and armies often had to resort to resourcefulness to survive. Enemy troops also proved to be less of a worry in comparison to Africa’s harsh environments and indigenous wildlife. 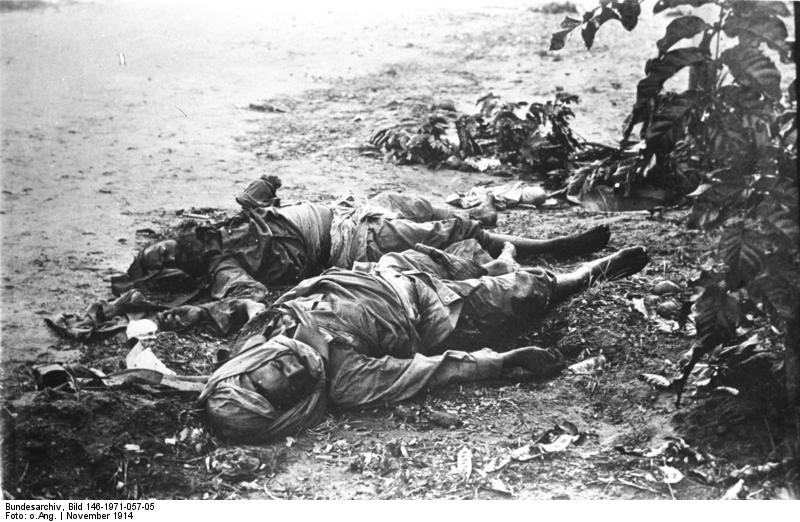 Dead Indian soldiers at Tanga. The British recognized the importance of attacking German colonies, where they hoped to disrupt vital German coaling and radio stations. Taking out such key areas would hamper the German navy’s threat on maritime trade around the continent. Things started out well enough for Britain with victories at German Togoland (Ghana), German South West Africa, and Cameroon. In German East Africa, things would not go so smoothly. 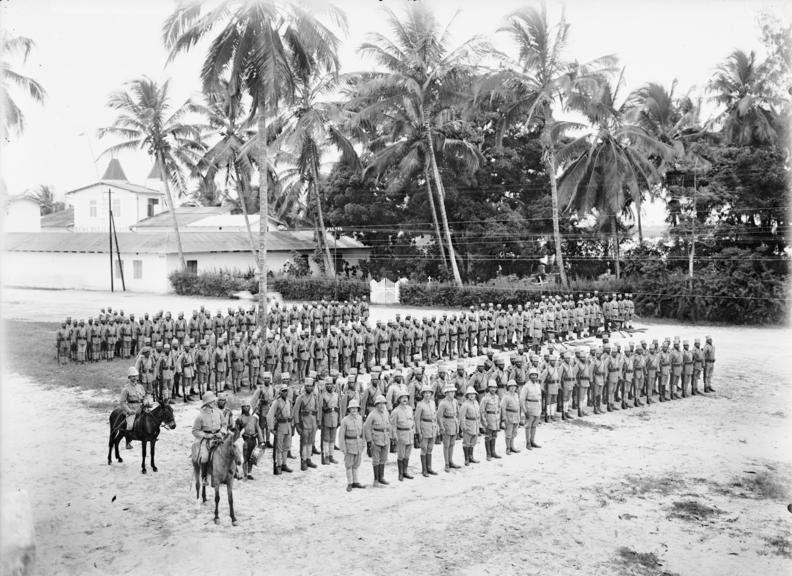 German General, Paul von Lettow-Vorbeck was aware of a coming British attack near the port of Tanga. The British were hampered by poorly trained soldiers and slow movemment, giving Lettow-Vorbeck plenty of time to move his grossly outnumbered soldiers into position. On November 4, 1914 the attack began and the small German force overwhelmed the confused and slow moving British attackers (made up mostly of Indian colonials). A well-timed attack from African killer bees also helped the Germans push back the British. 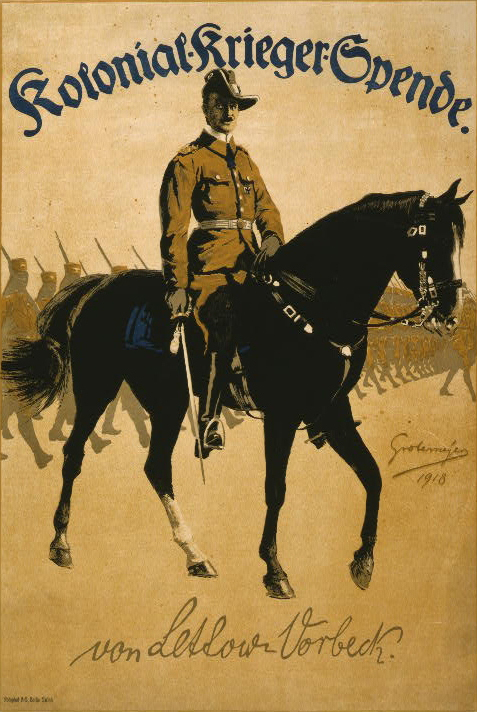 German propaganda of Lettow-Vorbeck leading African soldiers. For the next four years, Lettow-Vorbeck would hold off a much larger and better equipped British army, leading them on a chase all over German East Africa. The elusive General earned the nickname “the Phantom” because he always seemed to escape just as the British appeared to have him defeated. Lettow-Vorbeck’s secret was using the difficult African terrain to his advantage. He would purposely lead the British into harsh jungles where disease (particularly malaria) was rampant and engage them in guerilla tactics to disrupt the British war effort. 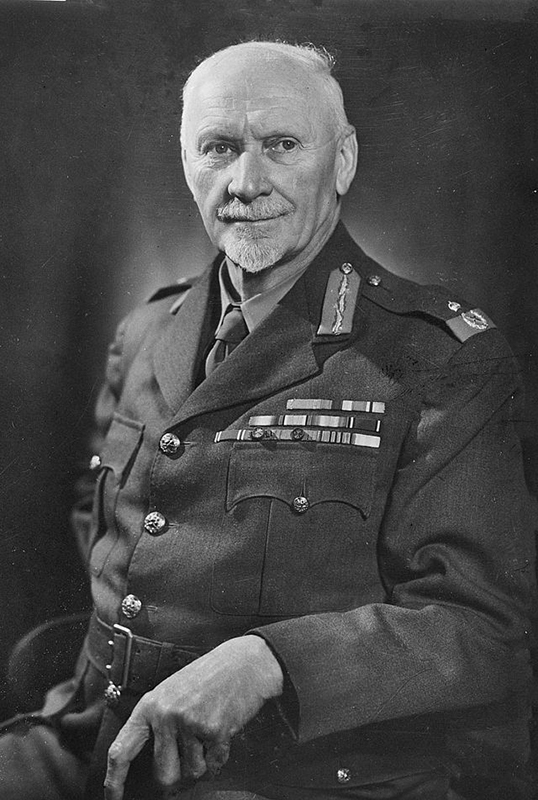 Humiliated and angry, the British recruited South African Defense Minister, Jan Smuts to stop von Lettow. Although Smuts never truly defeated the German general, he proved to be a skilled adversary. Smuts would go on to become a member of Britain’s Imperial War Cabinet and Prime Minister of South Africa. His views on apartheid remain controversial to this day. In the end, von Lettow proved resourceful enough to emerge from World War I as Germany’s only undefeated general. Finally surrendering after learning of the armistice in November, 1918, Paul von Lettow-Vorbeck returned to Germany a hero. Throughout the war, both sides made use of their colonial troops. Known as Askaris, these indigenous warriors proved useful to the European armies that conscripted them. German Askaris were especially well trained, aiding in Lettow-Vorbeck’s successful engagements against the British. No video? Watch in Flash! Learn more about Young Indiana Jones Documentaries. German commander in Africa whose guerilla and elusive tactics kept the allies trailing him throughout the war. Vorbeck knew that the Africa Campaign was merely a "sideshow" to the Western Front and became determined to do everything he could to tie the British down in Africa. This effort removed British soldiers and precious supplies from Europe. 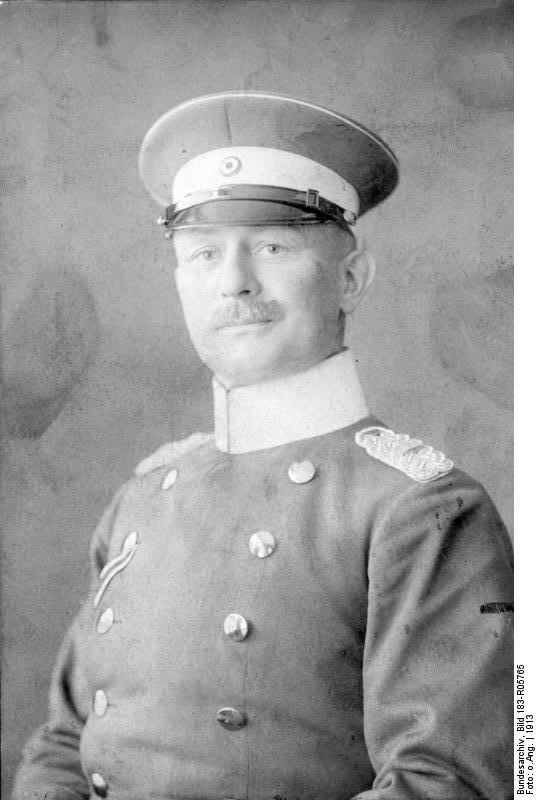 Vorbeck is hailed as the only German General to emerge from WWI undefeated. Von Lettow-Vorbeck, Paul. My Reminincenses of East Africa: The Campaign for German East Africa in World War I. Nashville: Battery Classics. Strachan, Hew. The First World War in Africa. New York: Oxford University Press, 2004. South African military leader who led British soldiers in East Africa during WWI and later served in Britain's War Cabinet under Winston Churchill during WWII. Revered as a hero, Smuts twice served as Prime Minister of his native South Africa. 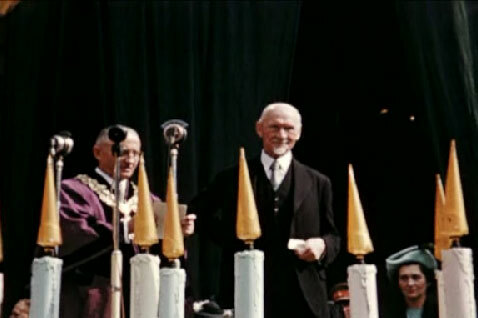 Smuts is often remembered as a white supremacist in South Africa, however, it was his support against racial segregation that pushed him out of office and led to new leadership that ushered in the era of apartheid. Smuts' roles in white supremacy and apartheid continue to spark debate. Cameron, Trewhella. Jan Smuts: An Illustrated Biography. Capetown: Human & Rousseau Ltd., 1994. Hancock, W.K. Smuts: The Sanguine Years, 1870-1919. London: Cambridge University, 1962.